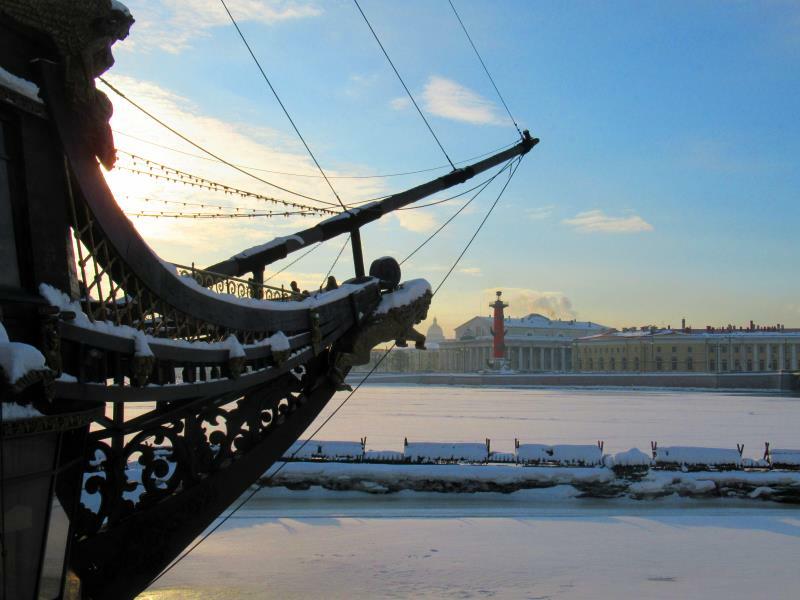 Neva River is the second main avenue of Saint Petersburg, Russia. 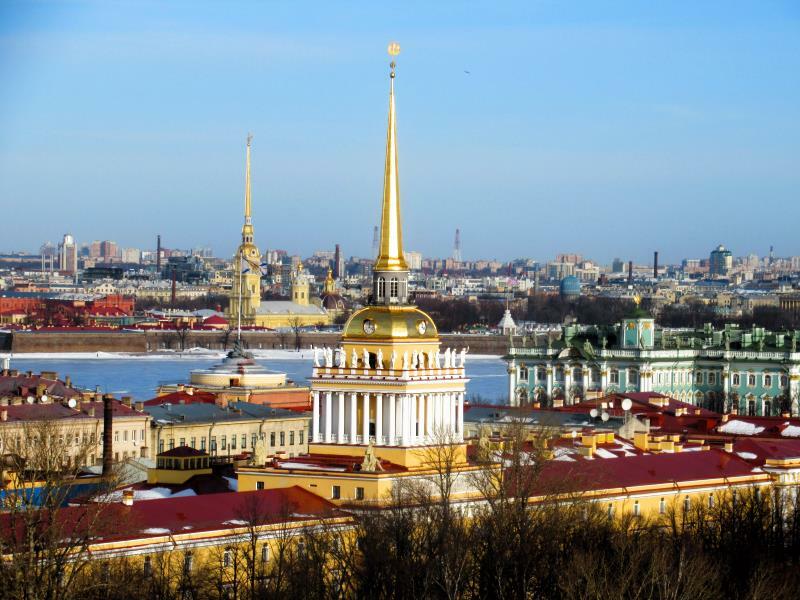 If the prominent building located not at Nevsky Prospect Chances there are best chances it is at the bank of Neva River. At winter time Neva is mostly covered by ice and can be crossed by foot that is strongly not advisory to do. 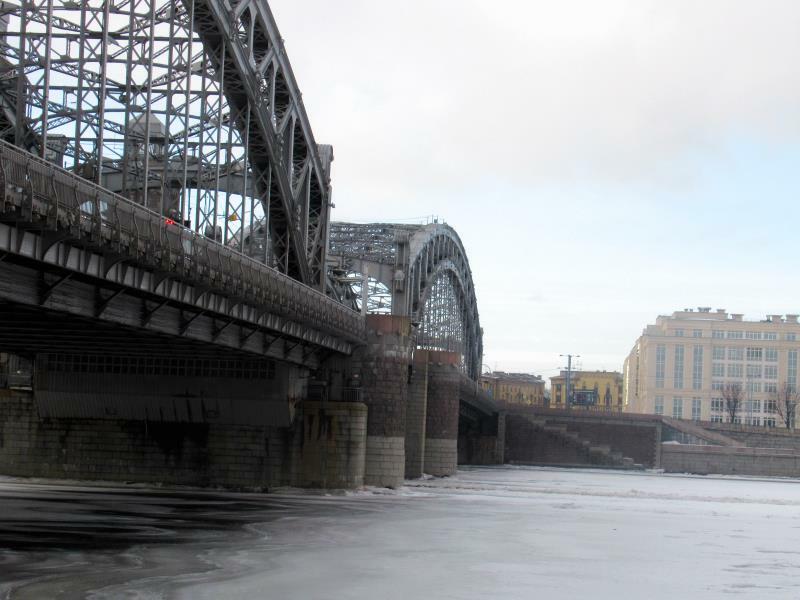 At the Strelka of Vasilievsky Island there is the special hovercraft vehicle patrols river to prevent and rescue too brave pedestrians wanted to take shortcut by Neva river ice surface that is bad idea. The Flying Dutchman ship serves as high end restaurant. 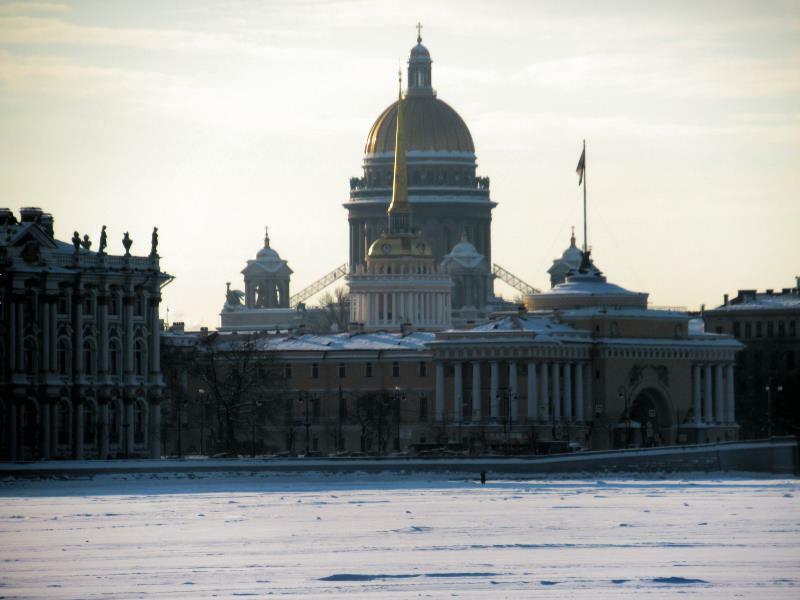 Admiralty embankment presents not only admiralty but Isaac Cathedral as well on the same view line. 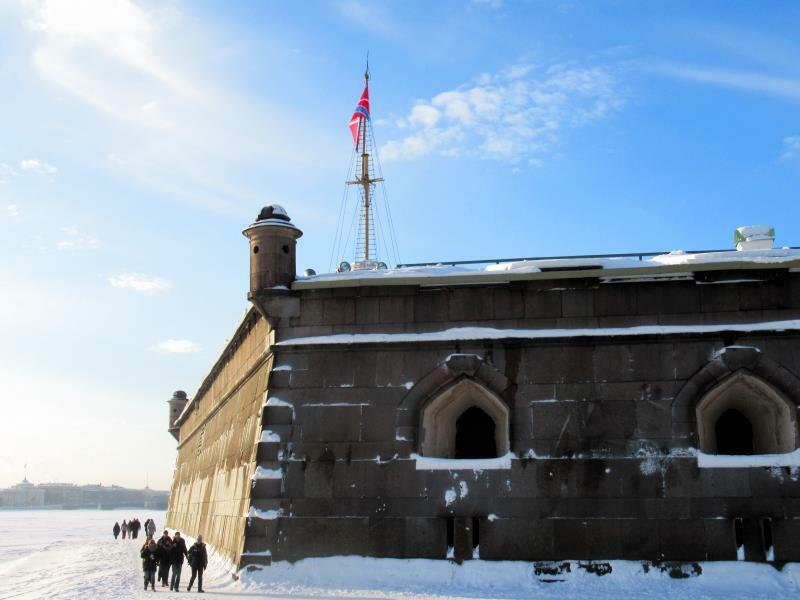 Walls of Peter and Paul Fortress faced Neva are really massive. 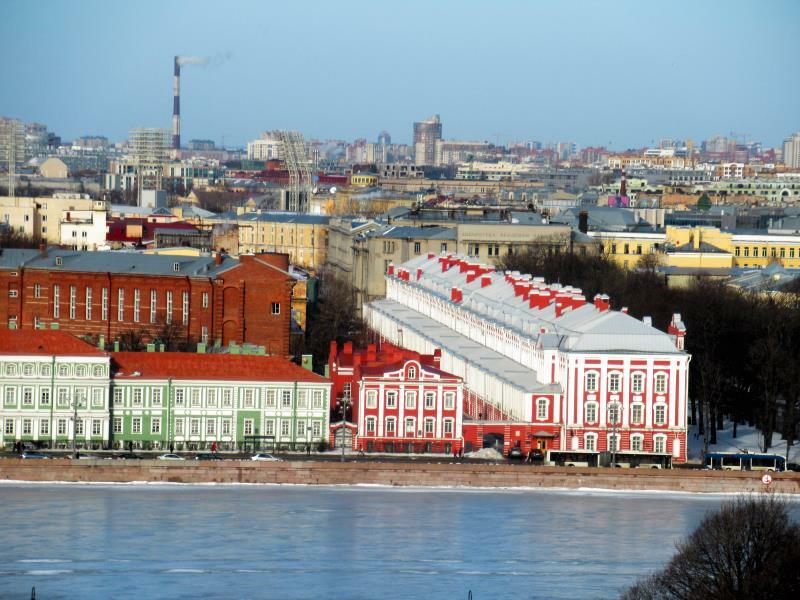 The view at the Neva from Saint Isaac Cathedral. University embankment has University main building along variety of Museums and building of Academy of Science of Russia. 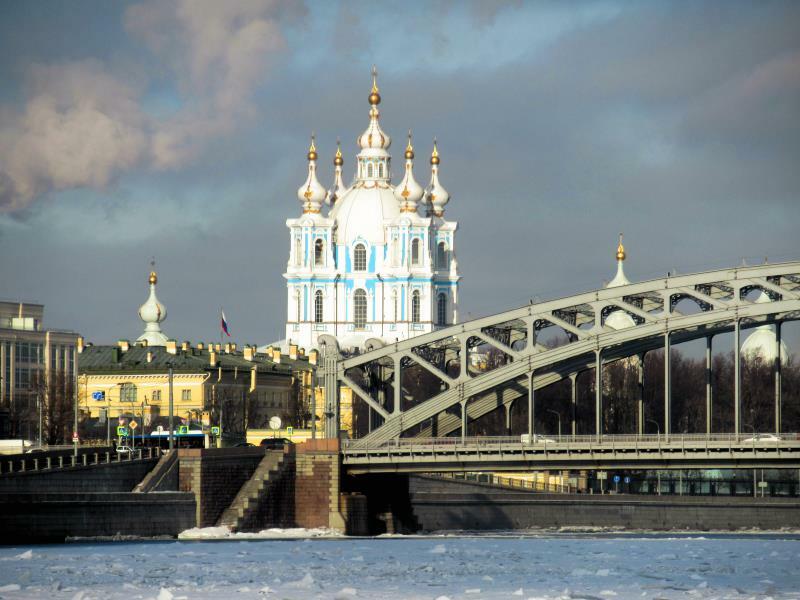 Smolny Cathedral and Big Oxta Bridge have beens of sun at winter day in Saint Petersburg. 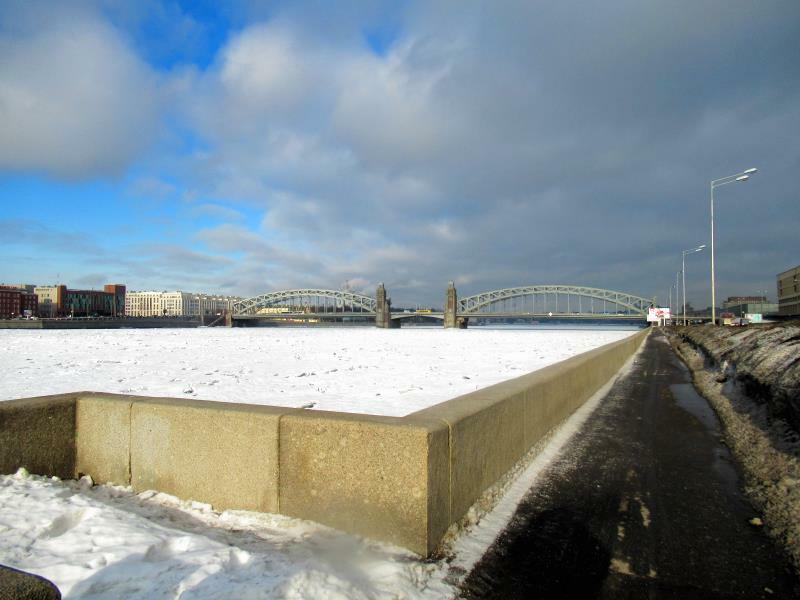 Even at winter time embankments of Neva River are open to walk and enjoy. The Big Okhta bridge is very iron industrial by style. 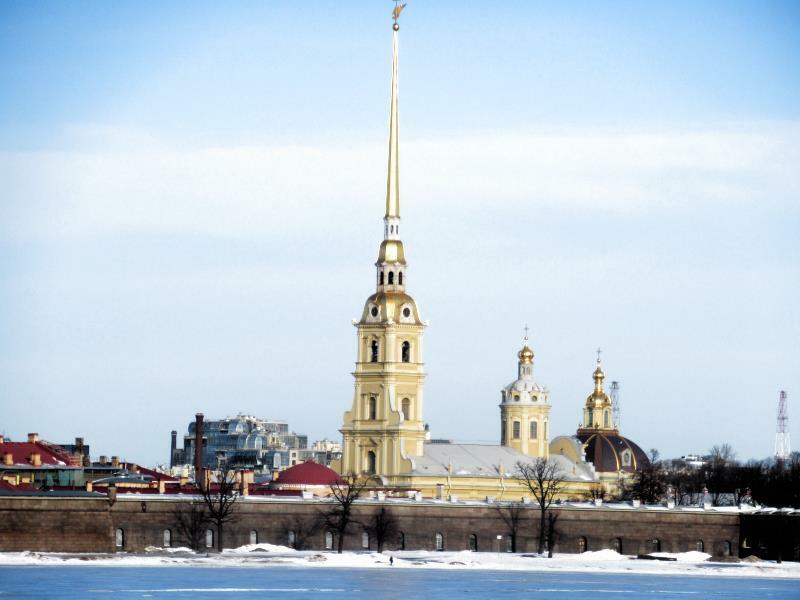 Peter and Paul fortress dominates waterfront in the very center of the Saint Petersburg.